We will be walking in the parade with our banners and shirts. This game needs to be a sellout. Bring your "Keep our Teams here" signs. Volunteers needed before the game. And if you're like me and are unable to join the throngs in person, you could always show your support by turning the image above into a car sign... computer desktop wallpaper... or...uh, fashionable paper briefs and pirate hat, held together with Scotch tape. 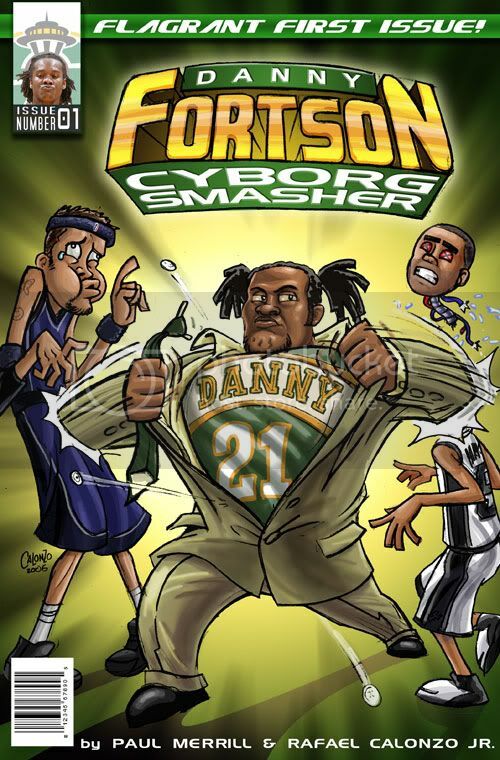 Has all this Sonics drama got you down? Then stop by Mirabeau Room on Queen Anne Wednesday night for ComedyNight, a weekly showcase of Seattle's best comedians (like me!). This week's show will feature a guest performance by none other than Mr. Humpty Hump himself, Shock G of Digital Underground. Seriously. 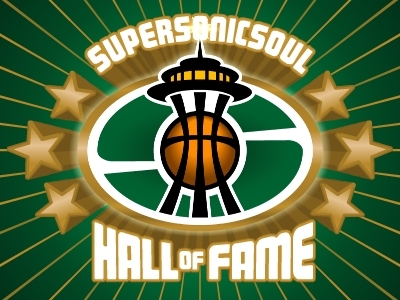 Plus, I will be doing a special piece entitled "Why The Sonics Are More Important Than Homeless Shelters". Seriously. Shawn Kemp, 36, was arrested in Houston early Friday morning and charged with misdemeanor possession of marijuana. Kemp allegedly had two ounces or less of the drug in his possession. The story comes from a Houston television station, complete with video footage. The Sonics got a strong performance from young Robert Swift yesterday in Utah, as the 3rd-year center went for 13-10 with 6 blocks in only 25 minutes of play, and Seattle beat the undefeated Sixers 88-86. Louis Williams continued his high-scoring for Philly by grabbing 21 points, his 4th time in the +20 range this summer. Interesting to see how he fits in the Philadelphia equation when the pre-season gets underway. Aaron Miles also made an immediate impact for the Sonics, as the former KU star scored 14 points in his first game for Seattle this summer. It's also worth noting that Swift got to the line 9 times on 11 field goal attempts, an outstanding mark for a young big man. -Noel Felix continued to play well, and led the Sonics with 27 minutes played. It's beginning to look as though he'll get serious consideration for a roster spot this fall. Lost amidst the furor of the Sonics' sale to Clay "You can call me Jaws" Bennett, the Sonics are on tap to play the Sixers this afternoon in the Summer League. Philly's been the juggernaut of the League this summer, running off to a 4-0 start behind some serious whoopings. Louis Williams, who appeared in 30 games for the 76ers last year, has been pacing them with 20 point outings in 3 of the 4 games. It would be nice to Sene back in the lineup after turning his ankle a few days ago, but we'll have to wait until later (tune in to sonicscentral for up-to-the-minute coverage; kudos to them for have a man on the scene for all of us losers who follow basketball in the summer). Otherwise, we may be treated to another version of the Robert Swift Show. It really has been nice to see how well Sene's played; I still don't know that I'd have taken another big man project in the first round, but he's beginning to get me to come around. SEATTLE - The city's oldest major league franchise has been sold to a group from Oklahoma City, according to a report in the Seattle Times quoting multiple sources. The sale is reportedly being made to an investor group led by Oklahoma businessman Clay Bennett. Bennet was instrumental in the temporary relocation of the Hornets to Oklahoma City following Hurricane Katrina. But the Hornets are scheduled to return to New Orleans following the 2006-07 season. A news conference to announce the sale of the Seattle Supersoncis has been scheduled for 3 p.m. Thanks to Susan for the tip. I think I need several drinks and maybe some drugs. Anyone else? This all proves, of course, that no one knows what the hell is going on. Stay tuned! Los Angeles, CA (Sports Network) - The Los Angeles Lakers may have found a sweet-shooting big man to capitalize off double teams on Kobe Bryant, as the club reportedly agreed to a five-year contract with free agent forward Vladimir Radmanovic late Saturday. The Los Angeles Daily News reports that the Lakers will sign the 6-foot-10 forward to a $30 million contract on July 12, the first day players can officially sign with teams. Wait a minute . . . five years for 30 mil? Isn't that less than the Sonics offered him last summer? I guess he must really like Kobe.